‘Are you reeeeeeeaaaaaaady?’ That’s exactly how the brief 30-second clip teasing the 2013 Family Values Festival kicks off, with Korn’s Jonathan Davis growling the line at the top of his lungs. While it’s been a long time since a Family Values tour has kicked up some dust, this 2013 event will be a one-off gig headlined by Korn and set to take place Oct. 5 at a yet-to-be-revealed location. If the clip above is aimed to foreshadow the bands performing at the upcoming festival, fans will get to seeRammstein, Stone Sour, Limp Bizkit, Ice Cube, Deftones and of course, the main attraction, Korn. All of the aforementioned acts have that date open on their schedule except for Deftones, who are scheduled to perform on Avenged Sevenfold’s tour that day in Indianapolis. So that raises the question if this clip is a preview of what’s to come or a celebration of past acts. Rock fans may remember the annual Family Values tour, which was the brainchild of Korn. The trek kicked off its inaugural run back in 1998, combining the best of rock and hip hop with additional treks in 1999, 2001, 2006, 2007, making it one of the most anticipated rock tours each year. Throughout its existence, the Family Values tour offered up bands like Rammstein, Limp Bizkit, Primus, Stone Temple Pilots, Linkin Park, Evanescence and DMX, just to name a few. While the video teaser is short on details, it definitely raises a lot of excitement over the new festival. The festival date falls on an off day mixed in with the string of intimate club dates the band recently revealed. Stay tuned as the festival details develop. 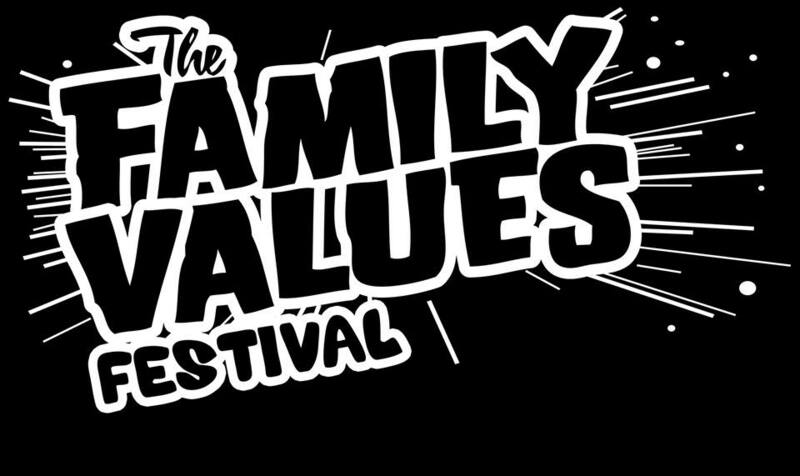 Korn’s new disc ‘The Paradigm Shift’ is due out Oct. 8, so the Family Values Festival will serve as the perfect record release party. New Jersey thrash metal veterans OVERKILL will enter the studio on Monday, September 2 to begin recording their next album for a March 2014 release. The CD will be tracked at Gear Recording and mixed by Greg Reely, who also worked on “The Electric Age”. In a recent interview with Radiosuicide Photography’s RSPTV, OVERKILL vocalist Bobby “Blitz” Ellsworth stated about the band’s plans for the coming months: “There’s six songs done [for the next record so far]. What we’re gonna do in the interim is we’re gonna come over while recording and do European festivals. After that, we do a U.S. tour with the German band called KREATOR. It’s gonna be a flip-flop headline; we’ll close the shows on the East Coast in those theaters and they’ll close on the West Coast in theaters, or big clubs. After that, we drop the record in March, it hits the street. They even gave me the date as March 7 already, so we’re that far planned ahead for those type of activities. And after that, I’m sure that what we’re gonna do is just start rolling these tours again. And I think that as we’ve gotten older, one of the things that we like is that we actually do more tours, but we do less touring; we’re not away from home for three months or sixty days, we’re away from home for three or four weeks. Three weeks is a great tour for a guy my age. Because then you don’t have to recover for a month when you come home. [laughs]” As previously reported, OVERKILL released a very special limited tour edition of its latest album, “The Electric Age”, in Europe on April 19 via Nuclear Blast Records. The limited 2CD tour edition includes the regular album as well as a four additional live tracks on a bonus CD, recorded at The Metro in Sidney, Australia on September 25, 2010. “The Electric Age” sold 6,500 copies in the United States in its first week of release to debut at position No. 77 on The Billboard 200 chart. “The Electric Age” was recorded and mixed at Gear Recording Studios in New Jersey, owned and operated by OVERKILL bassist D.D. Verni. To honor and celebrate Record Store Day on April 20, Nuclear Blast and OVERKILL released a limited-edition 10-inch copper-colored vinyl in gatefold containing four live tracks recorded at The Metro in Sidney, Australia on September 25, 2010. OVERKILL was forced to drop off the “Dark Roots Of Thrash” tour with TESTAMENT in February due to Ellsworth’s bout with pneumonia. Fullerton, California’s The Slidebar has partnered with Rob Zombie’s Great American Nightmare to host the Rob Zombie’s Great American Nightmare Battle Of The Bands live local music showcase this September and October. Unsigned talent will have a chance to compete for a chance to play the Monster Energy Main Stage on one night of Rob Zombie’s Great American Nightmare. Rob Zombie’s Great American Nightmare — the ultimate Halloween music and horror event — will be held every Thursday, Friday, Saturday and Sunday from October 10 to November 2 at FEARPlex in Pomona, just outside Los Angeles. The live music showcase nights for Rob Zombie’s Great American Nightmare Battle Of The Bands will begin with preliminaries at Slidebar on September 9, 16, 23, and 25, and will culminate with the four finalists competing on October 6. One winner will earn the honor of performing on the Monster Energy Main Stage at Rob Zombie’s Great American Nightmare. The performance date for the winning band will be announced at the final battle at Slidebar on October 6. To enter the competition, bands should email slidebarvenuebooking@yahoo.com by September 13, 2013. Each entry should include: band name, genre, Facebook page, Twitter, contact name, and contact e-mail. Bands will be chosen from these entries to perform at the weekly battles, each featuring five bands. Also visit the SlideBLOG at SlidebarFullerton.com for more details. Rob Zombie’s Great American Nightmare will feature 15 nights of music, culminating with a November 2 headlining performance by Rob Zombie himself. This bone-chilling experience will combine the most advanced haunted house attractions with a not-to-be-missed music festival from top artists in the realms of hard rock/metal, rock alternative, EDM, and Latin music. Each Thursday night will feature rock alternative music, Fridays EDM, most Saturdays will feature hard rock/metal, and most Sundays will be Latin music focused. Please visit GreatAmericanNightmare.com for the full list of music performances by date. A creative collaboration between masters of the macabre Rob Zombie and preeminent haunted house producer Steve Kopelman, the fully immersive haunted house experience will feature three attractions based on Zombie’s own horror films: “Lords Of Salem Total Black Out”, “The Haunted World Of El Superbeasto 3D” and “Haunt Of 1,000 Corpses”. “The Great American Nightmare’s Bloody Boulevard” will offer outdoor screenings of classic horror films, a DJ, food vendors, beer, wine and spirits, and much more, with freak show characters roaming throughout the grounds each night. Tickets for Rob Zombie’s Great American Nightmare are available starting at only $30 at GreatAmericanNightmare.com. Each ticket includes access to all haunted house attractions, concerts and Bloody Boulevard activities. Tickets will also be available for purchase onsite during the Los Angeles County Fair at Pomona Fairplex (August 30 – September 29). VIP packages are available for purchase at GreatAmericanNightmare.com. Hours for Rob Zombie’s Great American Nightmare will be 6:30 p.m. until 11:00 p.m. on Thursdays and Sundays, 6:30 p.m. until 1:00 a.m. on Fridays and Saturdays. FEARPlex (Fairplex) is located at 1101 W. McKinley Avenue in Pomona, California, centrally located in the heart of Southern California. Fairplex is also home to the LA County Fair, the largest county fair in the world. AVENGED SEVENFOLD’s sixth album, “Hail To The King”, is likely to sell between 170,000 and 180,000 copies in the United States in its first week of release, according to industry web site Hits Daily Double. The estimate was based on one-day sales reports compiled after the record arrived in stores on August 27 via Warner Bros. AVENGED SEVENFOLD’s fifth album, “Nightmare”, opened with 162,500 units back in August 2010 to debut at the top of The Billboard 200 chart. AVENGED SEVENFOLD’s self-titled fourth album registered a first-week tally of 94,000 copies in November 2007, nearly three times what its 2005 effort, “City of Evil”, sold in its biggest week on the chart. AVENGED SEVENFOLD singer M. Shadows said a few months back that the sound of the new CD was channeling earlier records from acts like PANTERA, METALLICA, BLACK SABBATH and others, and he told The Pulse Of Radio again just recently that the band was aiming for an older feel. “We said, ‘Well, why don’t we make a record that we would want to listen to today, that sounds like a late ’90s or before record? '” he said. “And then we said production-wise we’ve got to make it sound like one of those records. We’ve got to have the big guitars, the huge drums that are over the top, and just like the punch that those records gave you. So what I would say is that this is a record in 2013 that reminds me of like an early ’90s or before type metal record.” “Hail To The King” is AVENGED SEVENFOLD’s first full album written and recorded without drummer and charter member James “The Rev” Sullivan, who died in December 2009 during the early stages of writing for “Nightmare”. The band was scheduled to debut a number of new songs live at a free show in Los Angeles on Monday night (August 26). AVENGED SEVENFOLD recently notched the fifth No. 1 single of the band’s career as the song “Hail To The King” reached the top of the Active Rock radio chart. The band will begin a fall headlining North American tour on October 3 in Chicago, concluding on October 26 in Las Vegas. Support on the road trip will come from DEFTONES and GHOST. AVENGED SEVENFOLD’s video for the song “Hail To The King” can be seen below. The clip was directed by Syndrome, an award-winning design and live-action directing studio. Due to complications with his wife’s pregnancy, DEVICE and DISTURBED frontman David Draiman has chosen to stay close to home until the baby is born. All scheduled DEVICE tour dates between now and the due date of the first week in October have been canceled. 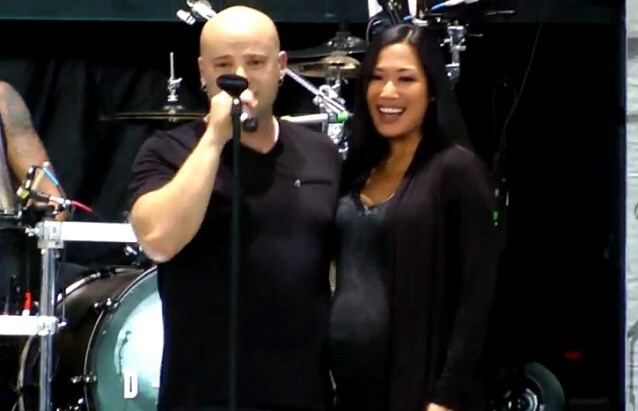 Draiman brought his pregnant wife, Japanese-American model, actress and wrestler Lena Yada, up on stage during DEVICE’s August 11 concert in Toronto, Ontario, Canada at the final stop of this summer’s Gigantour. Fan-filmed video footage of her appearance can be seen below. Draiman and his wife are expecting a baby boy, Samuel Bear Draiman. Draiman revealed the news of the pregnancy on May 2 on Twitter and also let the audience know at the Revolver Golden Gods awards, where he performed LED ZEPPELIN’s “Whole Lotta Love” with HALESTORM. Draiman and Yada were married in September 2011. The Pulse Of Radio asked Draiman at the time how he thought becoming a family man might change his music. “You know, I can only imagine that it would give me more inspiration to write,” he said. “I think that when you all of a sudden become a family man, and you have more to worry about than just yourself, your concerns, they build, in terms of things going on with the world, in terms of your life, in terms of your fears and your hopes and your dreams. And so I really think it’ll be a tremendous catalyst for potential inspiration.” DEVICE released its self-titled debut album on April 9. It debuted at No. 11 on the Billboard album chart, selling 35,000 copies in its first week of release. 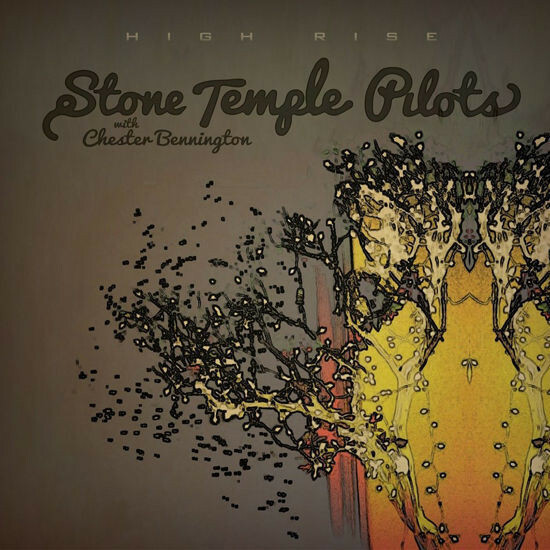 The new version of STONE TEMPLE PILOTS featuring LINKIN PARK’s Chester Bennington will release an EP, “High Rise”, on October 8 via 13Star Records. The effort will contain five new tracks, including “Out of Time” and “Tomorrow”. The cover artwork for “High Rise” can be seen below. “Out Of Time” reached the No. 1 position on both the Mediabase Active Rock and Mainstream Rock chart earlier this month. “We’re really thankful to all the people listening to our music that made this happen,” says bassist Robert DeLeo. “It feels great on so many levels.” STONE TEMPLE PILOTS will kick off a North American tour on September 4 in Bethlehem, Pennsylvania. The opening act on almost all the dates will be FILTER. This will be the first major run of live dates, as well as the first official recording, since STP fired founding vocalist Scott Weiland earlier this year and recruited Bennington to take over. According to The Pulse Of Radio, Robert and Dean DeLeo recently revealed why STONE TEMPLE PILOTS parted way with Weiland. 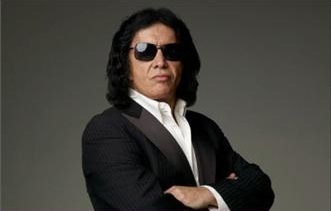 In a radio interview, Robert explained that he thinks that you get to a point in your life where your BS meter starts running down to a certain kind of tolerance and that it wasn’t just a musical decision, but it was a business decision. Robert added: “It was a quality-of-life decision and that really what it’s about. That’s where we wanted to be. Chester is a person that’s really surrounded by good fortune and that’s something you want to be around. It’s no longer three guys in a room, trying to make a record or trying to get a tour together — it’s four guys in a room.” Dean explained that they wanted to be able to fulfill their commitment through the band too. He said: “Robert, Eric [Kretz, drums] and I, we want to be able to come to town and give you everything we’ve got and it was getting to a point where we were unable to do that.” STP will release the new EP through their own label. It will contain five songs, including “Out Of Time”. STP fired Weiland in February after reuniting with him in 2010 for a series of tours and one self-titled album. The band had previously been on hiatus since 2002, primarily due to the singer’s struggles with drugs and alcohol. The group sued Weiland in May, accusing him of using the band’s name to advance his solo career, while claiming that his poor performances, late arrivals, and addiction struggles harmed the band’s career. Weiland has countersued, claiming that the band cannot use the STONE TEMPLE PILOTS name without him.